As children grow, so do their teeth. In order to ensure that their developing jaws have enough room to accommodate incoming teeth, many parents choose orthodontic expanders to eliminate crossbites and overcrowding of teeth. Located in Palm Beach Gardens, Florida, Tenn Yuk Orthodontics is led by licensed orthodontist Dr. Kevin Tenn Yuk. Contact us today to schedule a consultation and find out if an orthodontic expander is right for your child. What is an Orthodontic Expander? Also known as a palatal expander, the orthodontic expander is one of the most common dental devices used on children. In order to prevent early dental concerns and ensure your child’s teeth have enough room to grow, orthodontic expanders may be a solution. Orthodontic expanders treat the roof of the mouth, expanding the growth plate, which typically continues to grow until about ages 14-16. The expanders are attached to the mouth using either bands that are anchored around the teeth or by placing plastic that is bonded over the teeth, and in many cases, patients have the option of either removable or fixed expanders. Visible results are noticed when the expanders begin to gently push the opposite halves of the palate in opposite directions. This creates more room for incoming teeth and may decrease the likelihood that your child will need extensive orthodontic work later on in their adolescent or adult years. When it comes to the healthy development of your child’s teeth, it is often beneficial to be proactive, and orthodontic expanders can help. What Will My Child Feel During Expansion? As this is a brand new device to get used to, your child may talk funny and make exaggerated noises when they eat or drink as they grow accustomed to the expander in their mouth. Their mouths may also be sore for the first few days as the expander starts to work. but providing soft, easy-to-chew foods are often a good way to help them adapt to the device. How Long Will My Child Need to Wear the Expander? During your child’s consultation, Dr. Tenn Yuk will use advanced diagnostic scanning such as the iTero® scanner to get an accurate, high-definition picture of your child’s mouth and determine the best course of treatment as well as how long the expander should remain in your child’s mouth. Every case is different, and expanders may need to stay in longer in some situations. 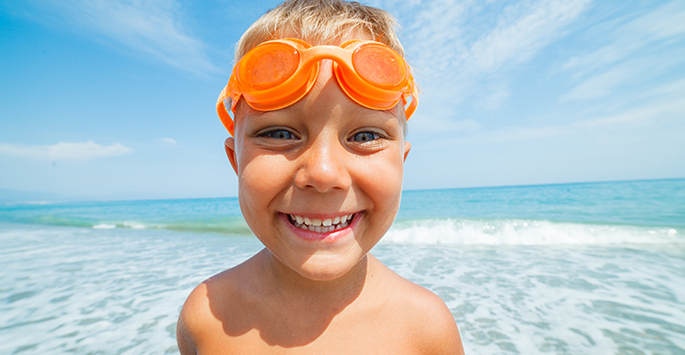 Orthodontic expanders are a safe, effective, and time-tested way to help your child’s mouth accommodate growing teeth. Contact us today to schedule a consultation and find out more information about orthodontic expanders.